His latest Romantic Piano Concerto album for Hyperion - with the BBC Scottish Symphony Orchestra, conducted by Eugene Tzigane - received a glowing review from Gramophone: “It’s hard to imagine it being better played than by these forces, Emmanuel Despax displaying a wide range of colours combined with an easy virtuosity ... It requires prodigious playing from soloist and orchestral musicians to make it sound as effortless as here, and that it does is tribute as much to conductor Eugene Tzigane as to Despax.” The recording features two romantic concerti by students of Liszt, Hans Bronsart and Anton Urspruch. “Opus 28 requires far more than intellectual or pianistic mastery of the text: who plays it embarks on a no-return journey, physically and emotionally exhausting. Best is to do so while one is young and and fearless. Emmanuel Despax may be proud of his 2016 record, at the start of what should be a long-lasting career ... the young artist’s poetic work of entomology left me speechless. Rarely has the text of these 24 pieces been thus read, enhancing the least articulation or pedalling detail in relation to tempi, sound weight, projection from a prelude to the next, from a group of preludes to another. This is all the more remarkable since this work is not about superficially highlighting these findings, but rather incorporating them into a reading with singing sonorities, fragile even at times, graceful and light rather than fuliginous, and extracted from the keyboard, as it were: it is not so much Chopin by Delacroix that we are hearing, as Chopin by Ary Scheffer. Both are right ... there is no doubt that Despax is a Chopinian and will be - if not already so - a Debussyst. 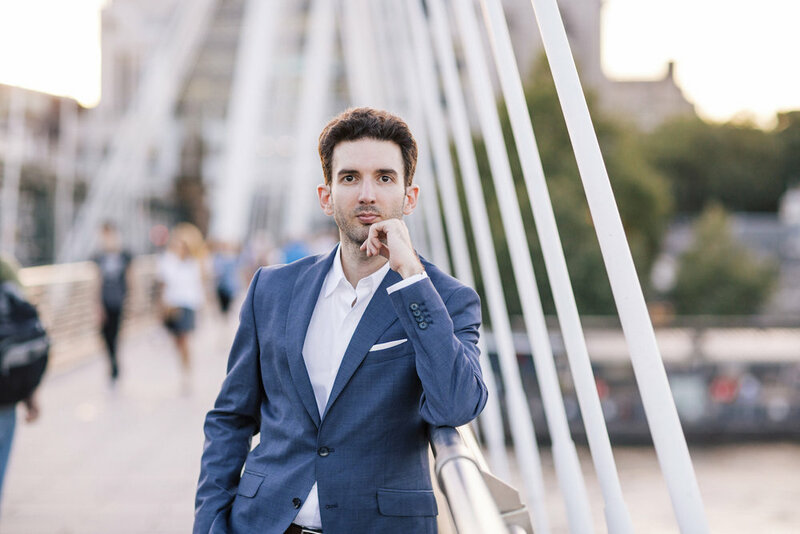 “The French pianist Emmanuel Despax is fast gathering a following and his Wigmore Hall recital displayed technical brilliance and individuality of interpretation in a wide-ranging programme. Handel’s Chaconne made a majestic opening, its dance like Theme and twenty-one Variations containing a world of emotion within the formal constraints. Despax gave a personal account embellished with his own ornamentation. The adagio provided an effective emotional centre and led to an increasingly decorated and exciting climax. Composed in 1904 and 1905, Ravel’s Miroirs still have the power to shock as well as thrill, especially from a pianist capable of mastering their enormous technical, interpretational and breaking-free demands. ‘Noctuelles’ is characterised by fluttering figures around a main theme, akin to an improvisation recalled Ravel’s pianist-friend Ricardo Viñes. Despax’s approach to the set was powerful yet transparent and flexible. He rose to the challenge of the vigorous Spanish rhythms of ‘Alborada del gracioso’ with grace and energy, and the sequence closed with the exquisite resonance of ‘La vallée des cloches’. Recorded live for "A Fly On The Wall"
Chorale Prelude "Nun freut euch, lieben Christen g’mein"
The common thread - as so often in The Romantic Piano Concerto series - is Liszt, in whose Weimar circle both composer-pianists featured here moved. Both concertos are pleasingly substantial, and the typically demanding piano writing is powerfully dispatched by Emmanuel Despax. Pianist Emmanuel Despax performs Chopin’s timeless collection of 24 Preludes, Op. 28, alongside the Berceuse Op. 57 and Barcarolle Op. 60. 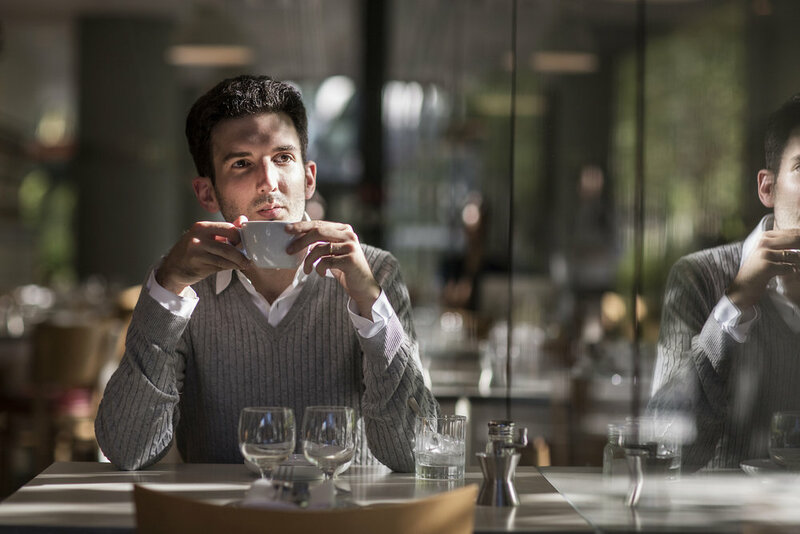 Working from the latest editions as well as original facsimiles of Chopin’s scores, Despax brings his own passion for the works into performances that seek to remain as truthful to the composers’s intentions as possible on a modern instrument. 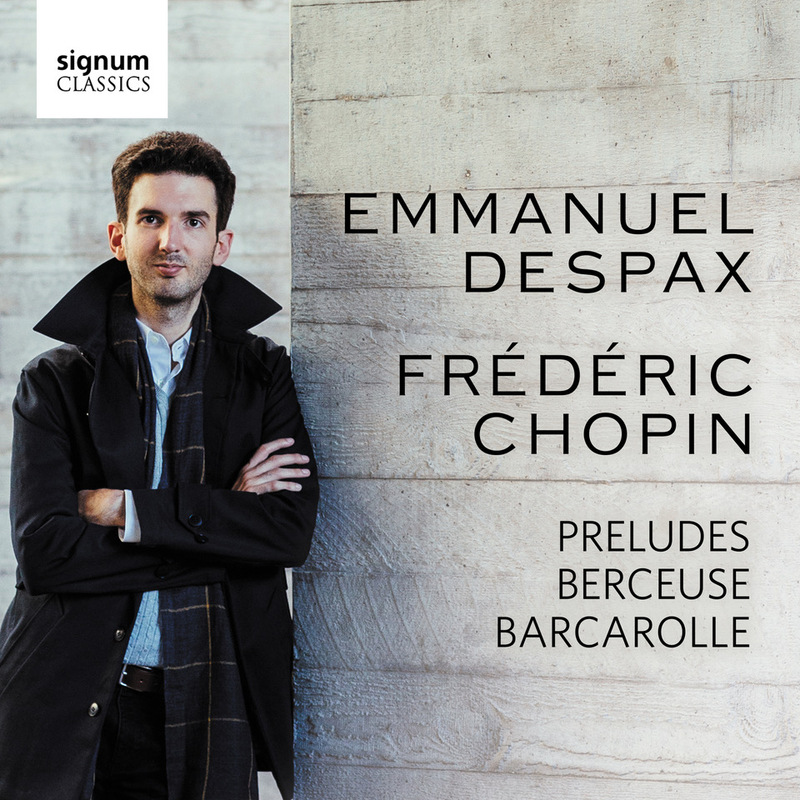 For his debut concerto album, Emmanuel Despax recorded 3 concertos live in one concert at the Cadogan Hall in London. This concerto disc, with the Orpheus Sinfonia under Thomas Carroll, features two pillars of the romantic piano repertoire, Saint-Saëns’ ever-popular Piano Concerto No.2 and Franck’s Variations symphoniques. These works are accompanied by the premiere recording of Stephen Goss's Piano Concerto, inspired by the designs of Thomas Heatherwick. Emmanuel Despax wishes to thank S. W. Mitchell Capital for its continuing support and collaboration.